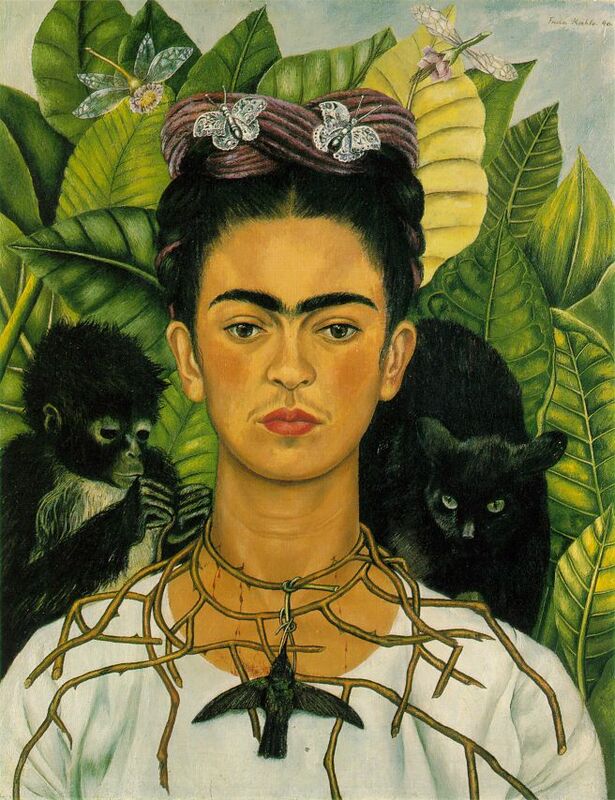 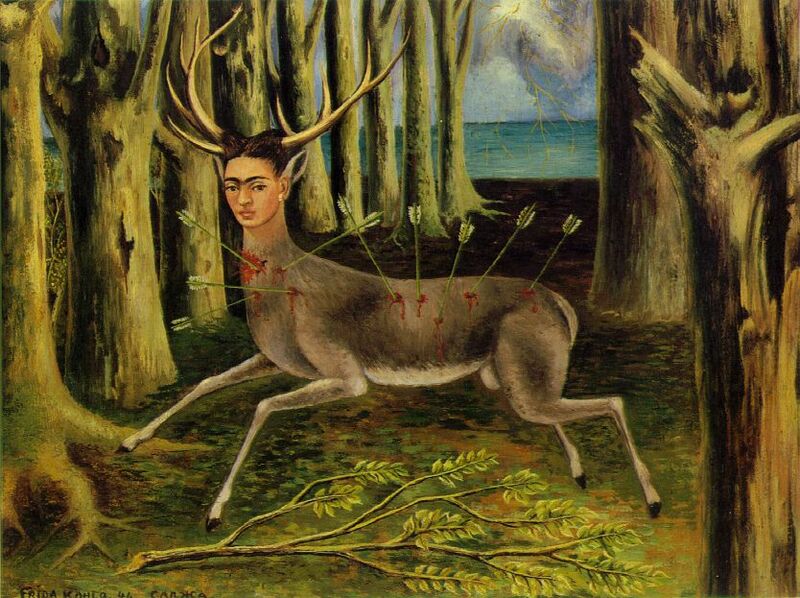 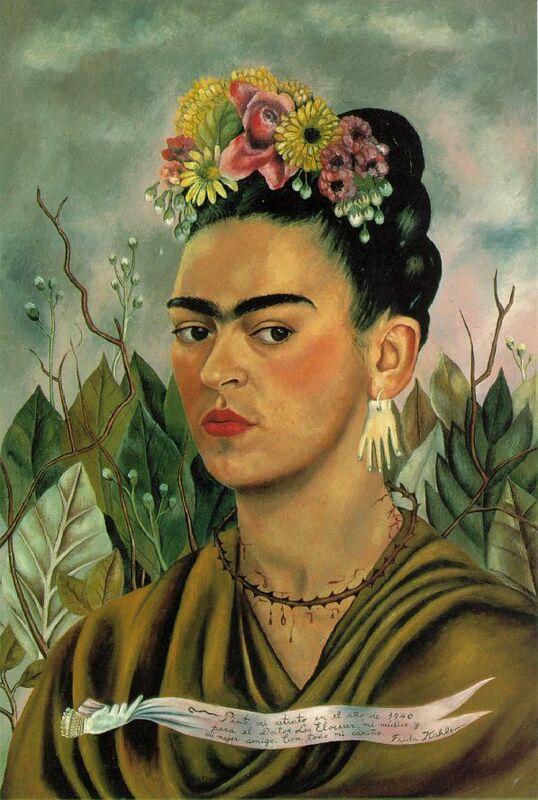 Frida Kahlo was born on July 6, 1907 in Mexico City. 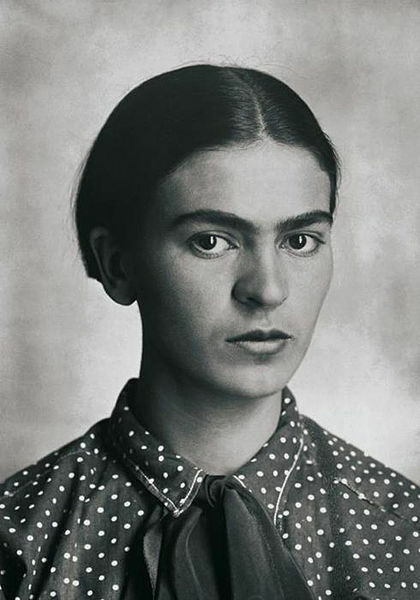 She is most famous for her self portraits–but hers are no ordinary representations of her own face. While Kahlo was interested in capturing the physical features of her visual appearance, she also sought to express who she was and what she experienced through her portraits. She mixed fantasy into the believable aspects of her work. 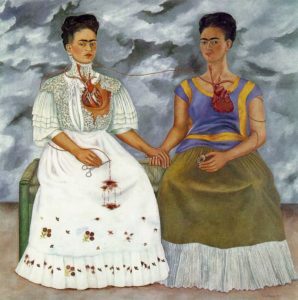 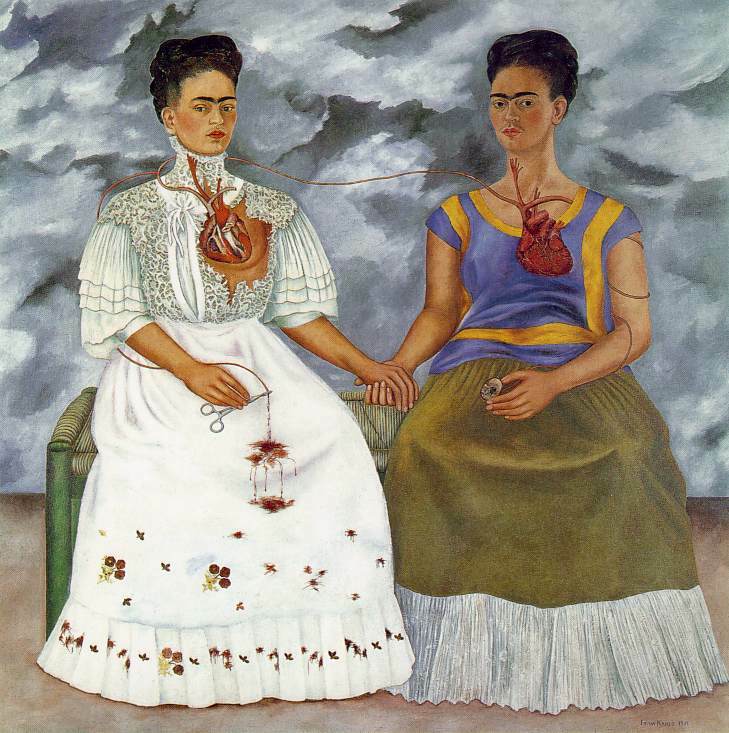 Kahlo’s work was greatly influenced by her suffering, brought about by the polio she had as a child and the traffic accident she endured as a teen. 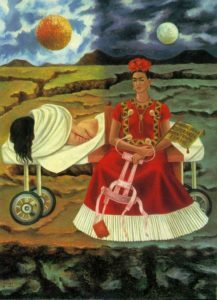 She experienced pain with her medical conditions for the rest of her life. You can see in the examples below how she wove symbols of suffering into her paintings, afflicting herself in her imagery with very tangible devices of torture. Below are shown a photograph of Frida Kahlo and several of her self portraits.